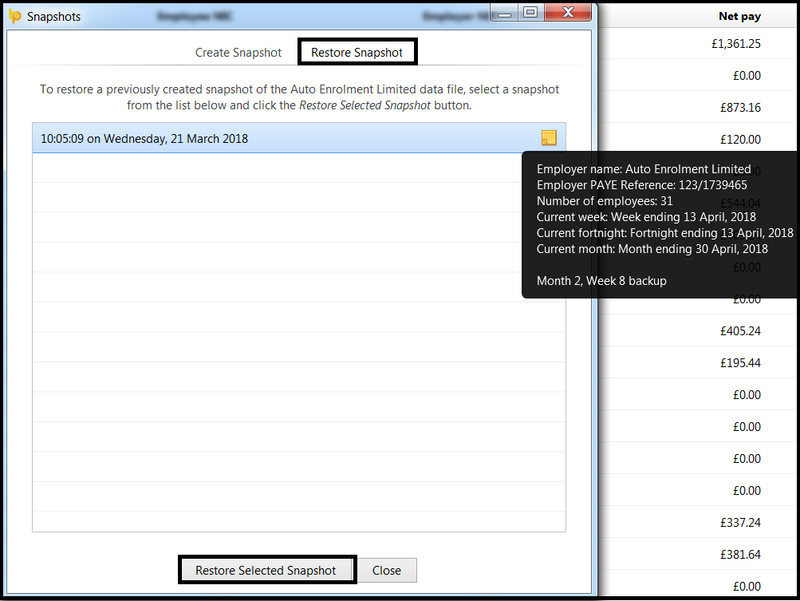 To back up your employer data file, simply click on ‘File', followed by 'Snapshots’. 2) Browse to select the location where you would like the backup file to be saved. 4) Click ‘Create Snapshot’ to complete the backup process. 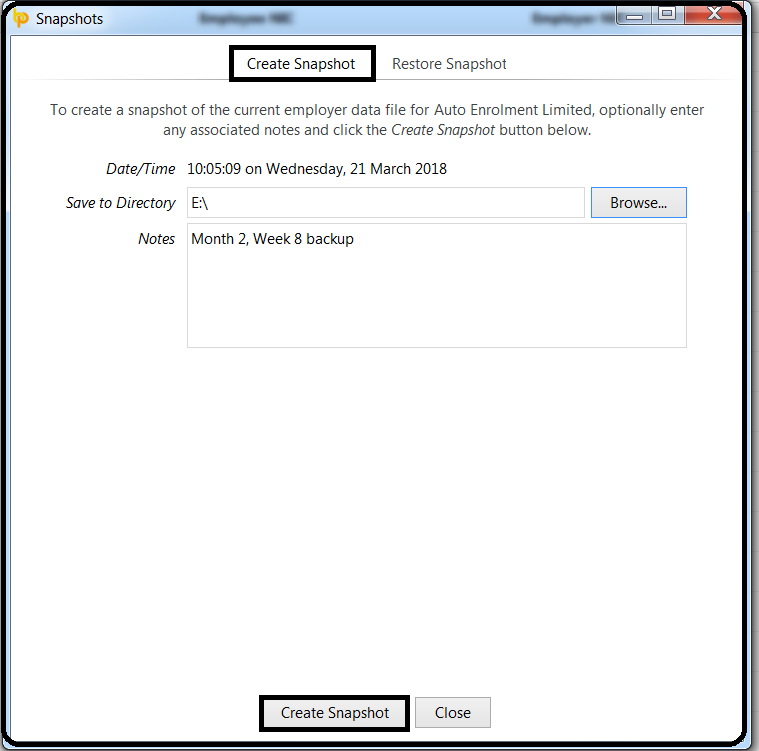 Should you need to restore your payroll data at any time from a backup that has previously been taken, simply click on ‘File’, followed by 'Snapshots'. 2) A list of available backups that the software has detected and the date and time these were taken will be displayed on screen. To the right of each backup you will also find additional information regarding the backup, including any notes that were entered at the time of backing up the payroll data. 3) To restore a backup, select the appropriate dataset from the list and click ‘Restore Selected Snapshot’. 4) Click ‘Yes’ to restore the backup.